Maj. Gen. David D. Thompson is Vice Commander, Air Force Space Command, Peterson Air Force Base, Colorado. He assists the commander in organizing, training, equipping, and maintaining mission-ready space and cyberspace forces and providing missile warning, positioning, navigation and timing, communications and cyber capabilities for North American Aerospace Defense Command, U.S. Strategic Command and the other functional and geographic combatant commands. The command oversees Air Force network operations; manages a global network of satellite command and control, communications, missile warning and space launch facilities; and is responsible for space system development and acquisition. The command comprises approximately 38,000 space and cyberspace professionals assigned to 134 locations worldwide. General Thompson also directs and coordinates the activities of the headquarters staff. General Thompson was commissioned in 1985 as a graduate of the U.S. Air Force Academy. He is a career space officer with assignments in operations, acquisition, research and development, and academia. He has commanded operational space units at the squadron, group and wing levels. The general is also an Olmsted Scholar, graduate of the Senior Acquisition Course and Level III-certified Program Manager. 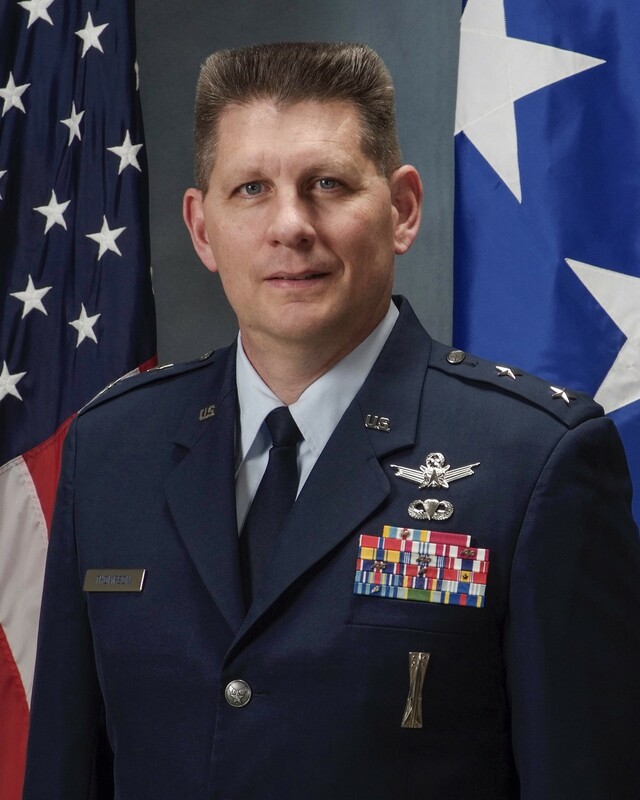 Prior to his Vice Commander assignment, General Thompson was the Director of Plans and Policy, U.S. Strategic Command, Offutt Air Force Base, Nebraska.